Thank you for all the amazing comments on my last post. Even though so many people recommended it, Sandals was just out of our budget. We couldn't find a trip at any of their resorts for less than $3800, which was a little too much for my taste. I'm not someone that vacations well, I agonize over every expense and hate elaborate dinners, handing out money for shuttles, drinks, snacks, and extras. We ended up following a suggestion a few of you made, and booked Couples Negril which came in at $3100 for 7 nights including airfare from Milwaukee. Even though the CHEAPO in me does the math and realizes that is a whopping $442 a night, I think it will be worth it to not have to pay anything extra when we get there. I loved that the Couples resorts are completely all-inclusive, and no tipping is allowed. That makes me feel good that I don't have to hand out bucks to the staff to get good service. The grounds look beautiful! Free shuttle from the airport to the resort, no crazy cabbies! I booked it tonight, we could not be more excited! Unless someone offered to pay my credit card bill. That would definitely do it. Looks gorgeous! We just did an all-inclusive for the first time last fall and it was SO NICE just to relax and not worry about anything at all. I love Jamaica. Love love love. Went there 4 times over a 2 year time period. That kind of love. You will adore it. The people are amazing! You're going to have a great time! I'm a teensy bit jealous, although I would not want to go through with the marathon that is wedding planning/wedding day. You all will enjoy your much deserved vacation! Gorgeous! You'll love the all-inclusive... and when you get there to check in, mention that you're on your honeymoon and they might just upgrade your room for free (Sandals did for us!). Sounds like a great choice..., and I love the palms on the beach!! Congrats! You'll love Couples. We spent our 9th wedding anniversary at Couples Sans Souci and it was an amazing trip. 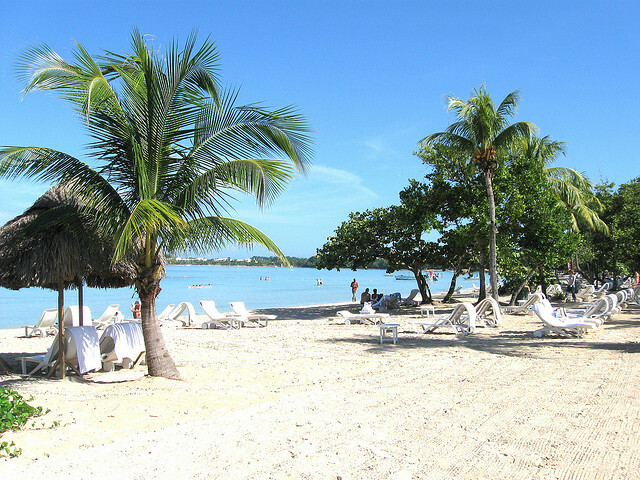 Travel & Leisure came out with its Top Caribbean Resorts list today and Couples Negril was in the Top 25. Yay Couples Negril!! Hope you love it as much as we did!! YAY! I'm excited for you guys. I'm sure you won't regret your choice one iota. And the all-inclusive thing is awesome (not that I would know, but that's what everyone says). At least it will *seem* much less expensive when you're not having to shell out money for everything while you're there. And much less hassle too! Wonderful, this look so gorgeous. Congratulations! When I was a kid we lived in Jamaica for a while...Negril is beautiful (haven't been to Sandals but the area is gorgeous.) You will have a good time! Awesome! You'll have a wonderful time. 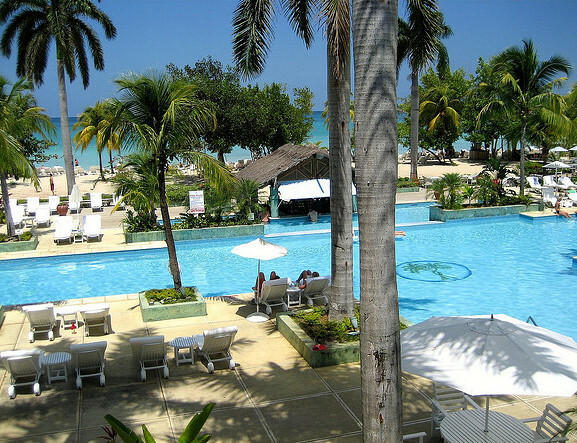 We plan to do Jamaica one of these days and it will be at an all-inclusive. does that include your airfare? Sounds like a great choice! I refuse to go anywhere where I will have to pay for drinks. When I went on a cruise with my mother (cause my dad busted up his knee), our bar and excursion bill was more than the freakin' trip! Insanity. Oh and my parents used to go to Jamaica every year and ALWAYS had a great time. Yes, the airfare is included! Oh wow. You'll love it. We've been to resorts in Jamaica twice and they were the best trips of our lives! Of course I'd probably pass right now, you know, with the whole giant-waddling-woman thing I've got going on. Not great for bathing suits. :) Can't wait to hear how it goes! All inclusives are SO WORTH IT! You will LOVE IT! We just went to our first one about two years ago and we were so sad to leave. Make the most of it and enjoy!